Pompe Zanni proposes a line of split case pumps which have recently been extended and improved to satisfy the requirements of customers with regard to large capacities. The outlet aspiration flanges are standardised for any application and the replaceable sealing rings protect the pumps within the limits of their use. The rotor is statically balanced and, on both sides, there are bearings lubricated with grease or, upon request, with oil. The standard seals are soft shaft, but, for considerable pressure, mechanical ones can be installed. Split case pumps are a valid solution and an excellent investment also for aspects regarding maintenance. Indeed, since the case of the pump is divided axially, we can intervene by completely removing the rotor, without having to work on the motor or on the connected pipes. 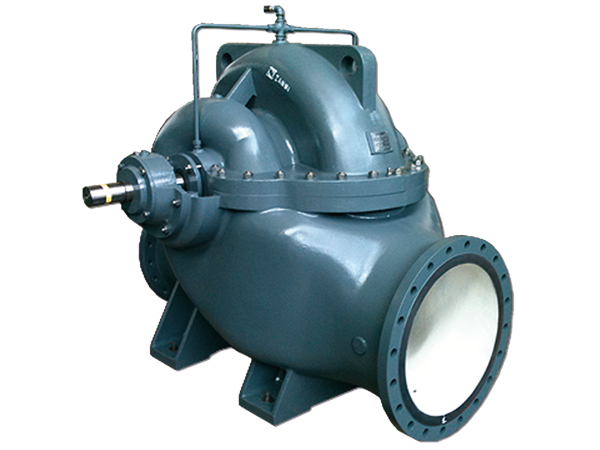 The fields of application for split case pumps are aqueducts, fire systems, industrial installations and pumping stations. They are increasingly used in agriculture as well.